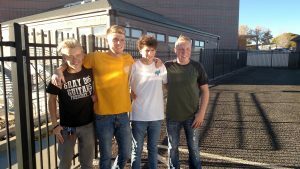 Sean Henegar, Harris Temple, Dane Bassett and Blake Francis are headed to Skyline Aquatic Center for the State Championship Swim Meet. Prelims get kicked off tomorrow and Finals are on Saturday. Congrats swimmers!